¿El origen de Homo sapiens hace más de 300.000 años? El conjunto de fósiles de Jebel Irhoud, Marruecos, adquiere desde ahora una importancia mucho más destacada. Conocíamos los restos de varios individuos hallados en 1961 y 1962: dos cráneos adultos (incluyendo el fósil más icónico Irhoud 1, un cráneo casi completo), una mandíbula infantil, un húmero infantil y un fragmento de coxis. Debido a su datación inicial de 160 Ka, la presencia de rasgos primitivos, y su asociación a herramientas descritas como musterienses, en 1962 inicialmente se sugirió que eran neandertales. Sin embargo, en las décadas siguientes el consenso científico se movió hacia que los especímenes de Jebel Irhoud eran Homo sapiens, que presentaban una combinación de rasgos arcaicos y rasgos derivados que se fueron desarrollando en distintas regiones de África (Hublin, 1985; Hublin, 1992; Bräuer, 1984; Rightmire, 1984). A Moroccan cradle for Homo sapiens? By Chris Stringer, The Natural History Museum London. 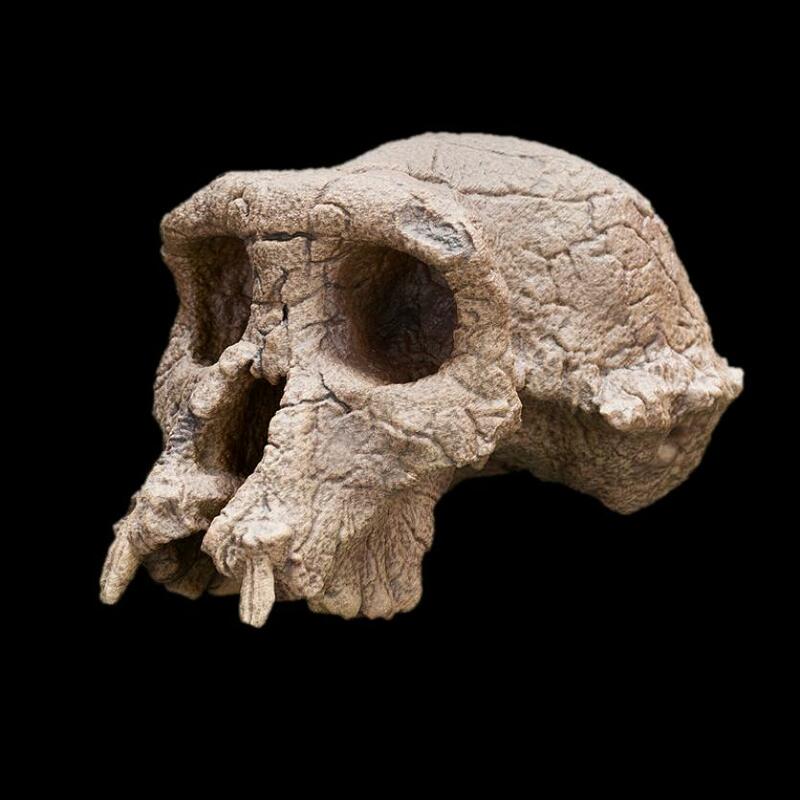 Many scientists accept that the human fossils from Omo Kibish and Herto in Ethiopia, dated between about 150-200,000 years ago represent the earliest known members of our species Homo sapiens. However, I now accept that evidence is building from both fossils and DNA that the modern human and Neanderthal lineages separated at least 500,000 years ago. In my view, the date of this divergence should mark the origin of these two groups, with the implication that there should fossils in Africa and Eurasia older than 200,000 years that lie on the respective lineages of modern humans and Neanderthals. 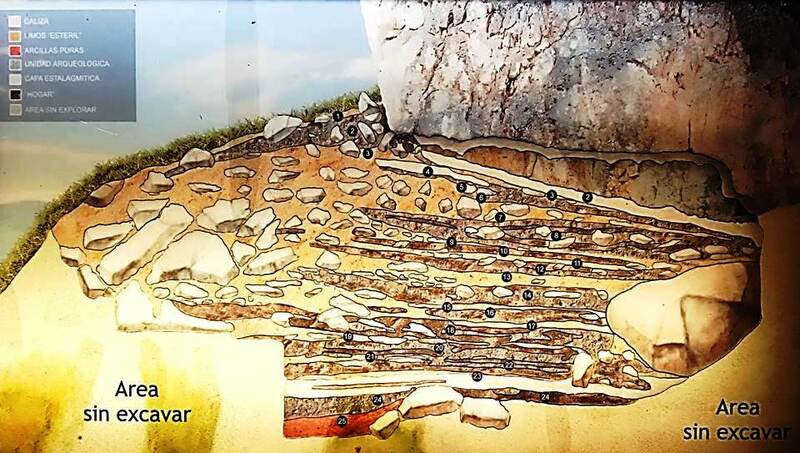 There is good evidence that this is true for the Neanderthals in Europe, since the Sima de los Huesos (‘Pit of the Bones’) fossils from Atapuerca can now be firmly placed on the Neanderthal lineage from both their anatomy and their DNA at around 430,000 years. 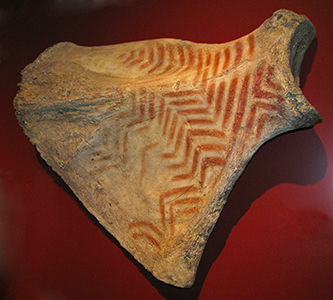 Although we don’t yet have good ancient DNA evidence from Africa, I have suggested that fossils such as Florisbad (South Africa), Eliye Springs (Kenya) and Jebel Irhoud (Morocco) might well represent early or “archaic” Homo sapiens that existed before the full suite of modern human characteristics had evolved. Moreover, it is possible that earlier and neglected fossils from sites such as Salé and Thomas Quarries (Morocco), and Ndutu (Tanzania) could be even more ancient members of our species, Homo sapiens. I used to argue that “anatomically modern humans” (including fossils that essentially look like us today) are the only group that should be called Homo sapiens. Now, I think that anatomically modern humans are only a sub-group within the species Homo sapiens, and that we should recognise the diversity of forms within early Homo sapiens, some of which probably went extinct. When I set out on my PhD trip in 1971 to study and measure as many as possible of the early modern and Neanderthal skulls curated in European museums, there was one fossil that particularly intrigued me. 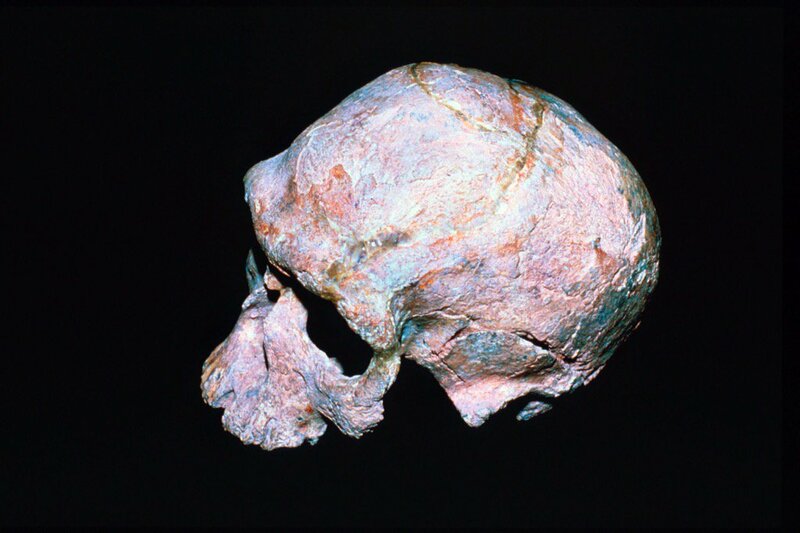 This was the enigmatic cranium from Jebel Irhoud in Morocco, found a decade earlier, and described as an ‘African Neanderthal’, dated at about 40,000 years old. Imagine my disappointment when I arrived in a Paris museum and was told by an anthropologist that the specimen had just been returned to Morocco. Seeing my crestfallen face over coffee, another worker told me that the fossil was, in fact, locked in a cupboard in the first anthropologist’s room, but he would give me clandestine access to it for a short time the next morning. 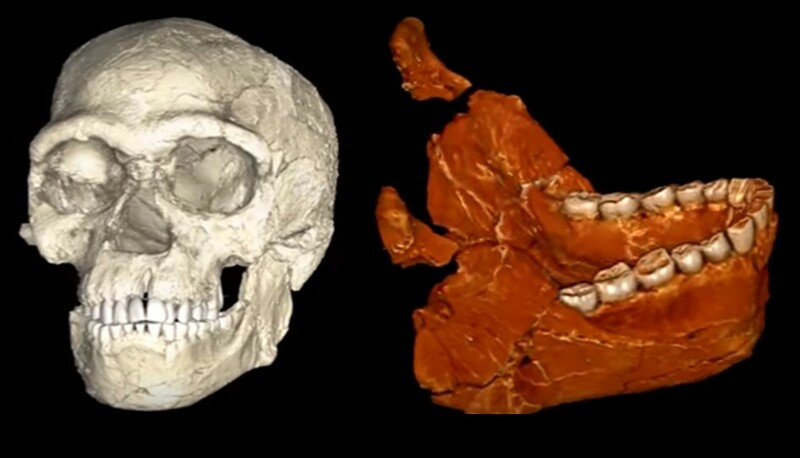 It was well worth the chicanery and the wait, for as soon as I saw the large but modern-looking face of Jebel Irhoud 1, I knew it was no Neanderthal – it completely lacked their puffed-out cheek bones, midfacial prominence, and enormous nose. But I couldn’t make much sense of Jebel Irhoud in my PhD conclusions as it was apparently too recent and therefore too close in age to actual early modern fossils from Israel and Europe to represent a potential ancestor for modern humans. 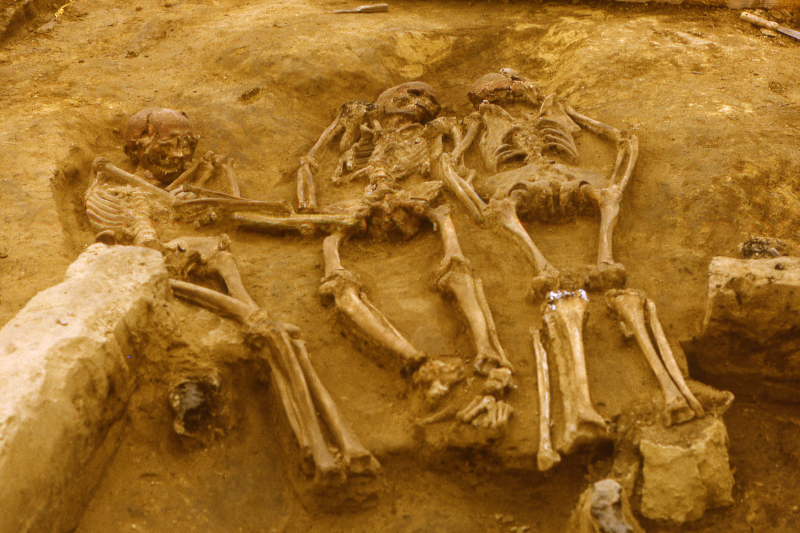 How many interbreeding events between neandertals & sapiens? An ancient population of Homo sapiens migrated 100 KYA from Africa into Asia. In the Near East they met a population of neandertals, probably around the Persian Gulf, the Arabian Peninsula or the eastern end of the Mediterranean Sea in Western Asia. Then an introgression occurred of Homo sapiens into Homo neanderthalensis. We have found the genetic stretches of H. sapiens in the genome of a female neandertal from the Denisova Cave in the Altai Mountains, south Siberia. However there are no stretches of H. sapiens in the genome of western neandertals such as those from El Sidron, Spain. This means that probably those hybrid neandertals+sapiens from 100 KYA migrated to East Asia. Then a climate change produced an expansion of the Caspian Sea, which probably prevented further interchange with those other neandertal populations going West towards Europe. At the same time, that ancient Homo sapiens people who left Africa 100 KYA are thought to be in the roots of all the African modern humans populations. They are probably related with the 90 Ka populations from the Skhul and Qafzeh caves in Israel, as well as with the 47 human teeth dated to 80-120 Ka found in a limestone cave system in Daoxian, China.